Longtime collector W.G. 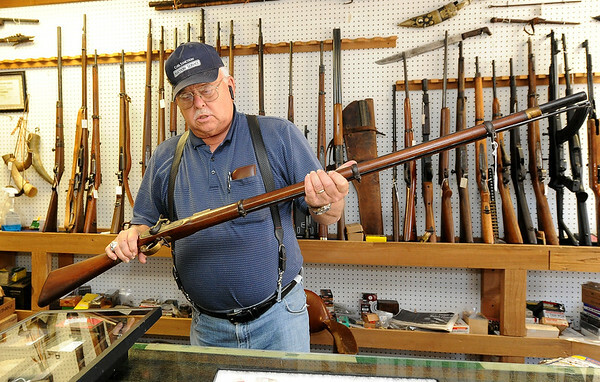 "Trip" Triplett, of Circle T Collectibles in Carl Junction, holds a 1861 .577 caliber Tower infield musket used by confederates during the Civil War. Triplett began collecting Native American and military artifacts 71 years ago and has countless items at his store and his home.